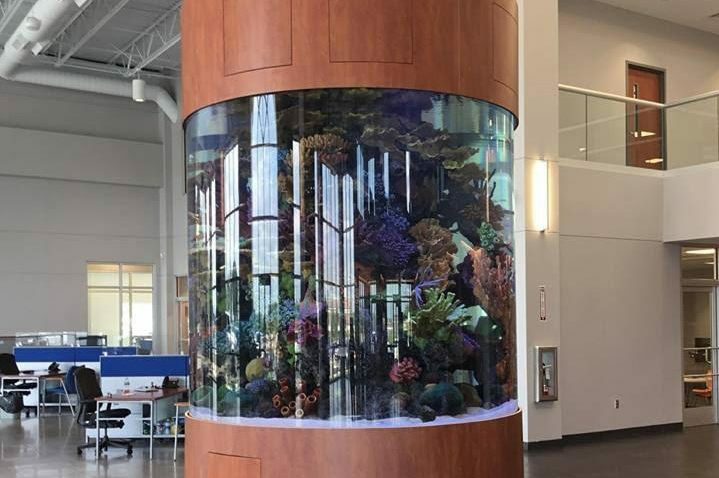 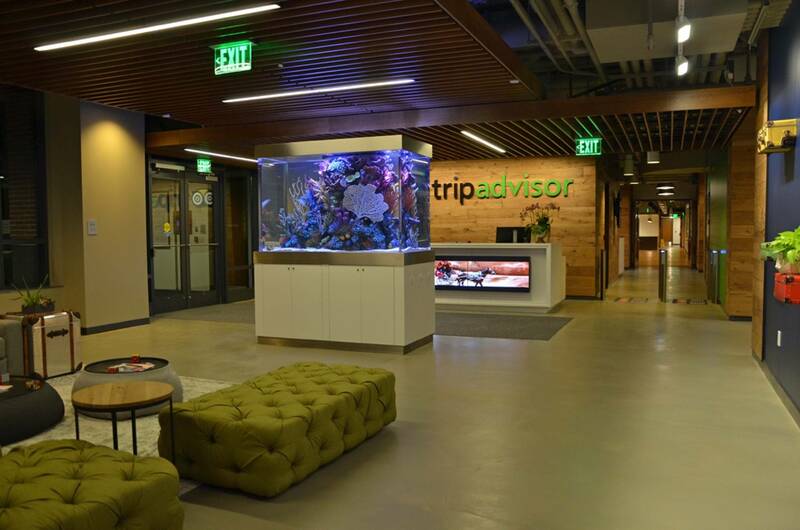 This 600 gallon saltwater aquarium greets employees and visitors in the lobby of their new 288,000 sq/ft global headquarters building in Needham, MA. 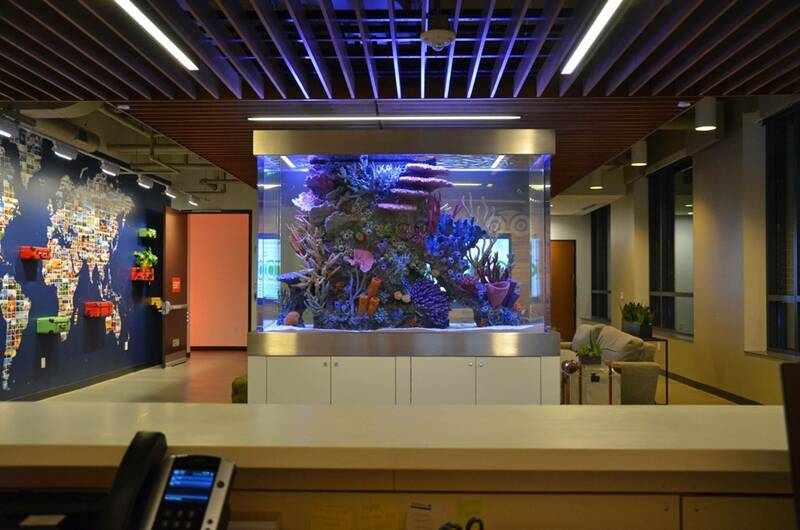 Titan Aquatic Exhibits worked closely with Boston Aquariums to make this 600 gallon saltwater aquarium come to life. 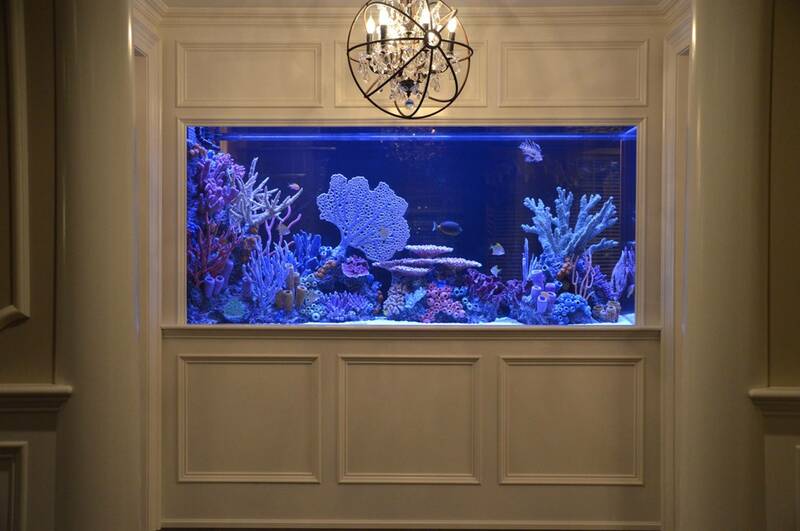 The tank is euro-braced using 1.5″ cast acrylic material. 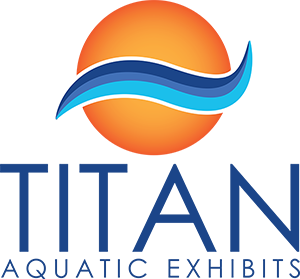 A custom offset reef insert was fabricated by the artisans at RocknReef. 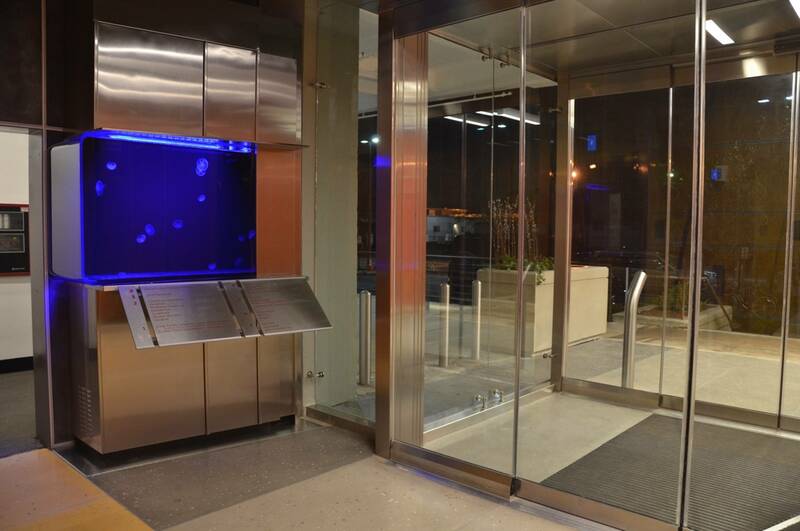 All of the filtration is housed below the tank that is supported by a powder coated steel frame wrapped with Corian cabinetry and brushed stainless steel accents.